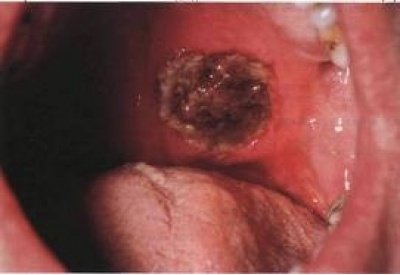 Disease from the group of systemic vasculitischaracterized by necrotizing granulomatous inflammation and necrotizing vasculitis, mainly affecting the upper respiratory tract, lungs and kidneys. Incidence of 4 cases per 1 million population, the prevalence - 3:100000. Peak disease noted at age 40. Men sick 1.3 times more often than women.Among blacks disease practically nonexistent. The etiology of Wegener's granulomatosis is not well understood, it is assumed the role of viral infections (cytomegalovirus, Epstein-Barr virus) in the development of the disease. Clinical data often show the link between development or exacerbation of Wegener's granulomatosis with an upper respiratory infection. Feedbackmarked recurrence of Wegener's granulomatosis with persistence Staphylococcus aureus in the nasal cavity.Communication is also confirmed with the infection efficiency in some cases antibiotic therapy. In Wegener's granulomatosis based on a variety of disorders of cellular and humoral immunity. In the serum of patients with Wegener's granulomatosis detect antineutrophil cytoplasmic AT (ANCA) reacting with some neutrophil enzymes(especially with proteinase 3). These AT considered as a specific serological marker and probable pathogenetic factor of the disease. An important pathogenic significance of cellular immune responses indicate the nature of granulomatouslesions of the internal organs and the presence of activated T lymphocytes in the inflammatory infiltrate of the kidneys and lungs. Important role in the development of vasculitis and glomerulonephritis play neutrophils, which are the main target cellsfor ANCA. Infiltration of neutrophils renal glomeruli - significant morphological feature of glomerulonephritis with"crescentic". Enzymes released during degranulation of neutrophils, have the ability to damage the glomerular basement membrane. Distinctive histopathological sign of Wegener's granulomatosis - nekrotizirutoschy vasculitis of arteries and veins of small and medium caliber to form granulomas, localized both inside and outside the vessels. In typical cases, developing multiple bilateral lung infiltrates with cavitary, biopsy study which almost always reveals a typical necrotizing granulomatous vasculitis. The defeat of the bronchi in the active phase, or as a result of fibrous scarringcan lead to obstruction and the subsequent development of atelectasis. With the defeat of the upper respiratory tract, especially the sinuses and nasopharynx, detect inflammation, necrosis and granuloma formation in combination with or without vasculitis. For the diagnosis of Wegener's granulomatosis using biopsy mucosa of the upper respiratory tract tissues of the orbit, lung, where the show granulomatous inflammation with the presence of giant cells and typical necrotizing vasculitis.When renal biopsy granulomas usually do not find on histological examination confirmed the presence of glomerulonephritis and its morphological variant. Need radiography of the paranasal sinuses. On radiographs of the chest show nodular dimming light, often in the center of visible necrosis or cavity. Inflammation of the mucosa of the nose and mouth: mouth sores, purulent or bloody discharge from the nose. Changes in the X-ray examination of the lungs: nodules, infiltrates, cavity. Changes in urine: microscopic hematuria (more than five red blood cells per field). Biopsy: granulomatous inflammation in the artery wall or perivascular space. For diagnosis, you must have two or more criteria. Sensitivity 88%, specificity 92%.